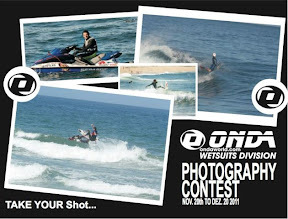 FACEBOOK PHOTO CONTEST ONDA!! / PASSATEMPO ONDA NO FACEBOOK!! É uma ideia muito simples, basta que publiques até ao próximo dia 20 de Dezembro, no mural do facebook da Onda, uma foto com a marca Onda bem visível, (fato, hoodie, licra, tshirt, etc.). Seguem em baixo todos os detalhes do concurso, boa sorte! It's a very simple idea, you just have to post a photo with some ONDA gear on the brand facebook and then, the best image wins a denim + hoodie + t-shirt. You just have to post the photo till december 20th. The link is below. Good luck! Queres ganhar este ‘Kit’ ONDA? Então... basta publicares e identificar uma foto nesta página. A foto vai ser escolhida pelo Marketing da Onda e pelo Team Manager. Acredita que assim terás mais hipóteses de vencer. Want to win a ONDA Kit? Denim-Hoodie-t-shirt? Then ... you just have to post and identify a photo on ONDA facebook page. The photo will be chosen by wave Marketing and Team Manager. 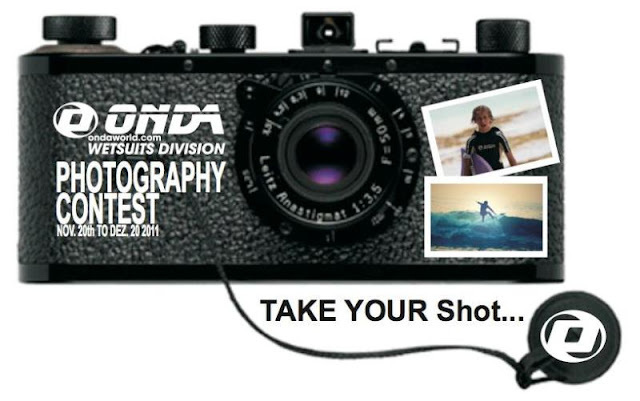 Example: ONDA – Contest Photography – Nuno Pinto (Add photo) you can ' post ' more than one photo and, in this case, you must identify your ' post ' as follows: Example: ONDA – Contest Photography – Nuno Pinto (Add photo) believes so you'll have more chances of winning. The hobby ends the December 20, 2011 (10:0), the date on which we will announce the winners here on ONDA facebook page. Se queres saber mais sobre os fatos da Onda, visita a nossa loja on-line!! / If you what to know more about Onda's products just check out our on-line Shop!! A Ophion apresentou recentemente mais um modelo de pagaia para 2012 a nova Katana, desenhada para cortar a água como uma faca, é uma pagaia muito suave, balanceada, poderosa e leve. Criada para todo os que procuram uma pagaia menos agressiva dentro da gama actual e com os mesmos padrões de qualidade existentes, foi desenhada para permitir uma remada mais suave e tradicional. Se procuras uma pagaia leve, suave, potente e resistente a nova Katana é o modelo indicado para ti! Visita a nossa loja on-line e descobre mais sobre preços e opções das pagaias Ophion!! The new Ophion Katana slices through the water like a knife, it’s smooth, balanced, powerful and light. We wanted to compliment the already powerful aggressive existing range with something a little less aggressive giving the paddler a smoother more traditional stroke. The unique dihedral ridge on the powerface keeps the paddle stable while it slices through the water on a draw stroke. Due to the new design we managed to reduce the blade length and retain the width giving you a quick loaded power that stays stable. It is this combination of Dihedral and Spine shape that keeps the paddle so balanced. This new paddle has been designed for the Creeker and Freestyle kayaker who wants to set up and push their lines that little bit tighter and faster. For a light weight, very strong, powerful, smooth paddle choose the new Ophion Katana. 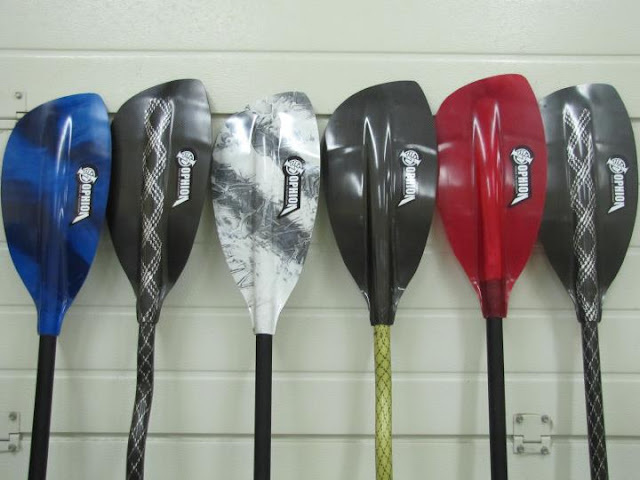 Visit our on-line Shop and find out more about prices and Ophion paddles options!! Contou com 16 inscritos e continua a levar para as ondas muitos entusiastas do kayaksurf SOT. O modelo Shark faz as delícias de todos porque é SÓ o sot mais fácil, rápido e versátil do mercado. Rui Fonseca, shaper e dono da RPF, também participou e chegou ao pódio ;) O modelo Shark contribuiu e continua a contribuir para que muitos canoístas se aventurem nas ondas. O actual vencedor do CNKW11, Hugo Paz, é ele próprio um exemplo de versatilidade - domina o kayaksurf HP, waveski e SOT. Agora uma pequena dica... em breve teremos novidades sobre o Shark! Depois falamos... por agora, fica a classificação do evento que decorreu no Open de Bastiagueiro, Galiza. Parabéns a todos! 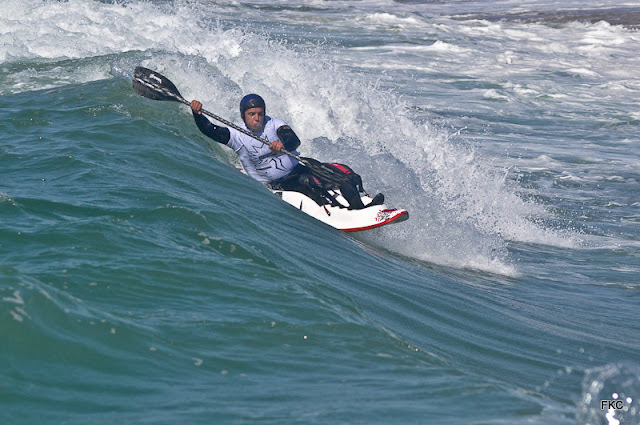 Had 16 athletes enrolled and continues to take many surfkayak enthusiasts to the water. The model Shark delights all because it's easy, fast and versatile on the waves. 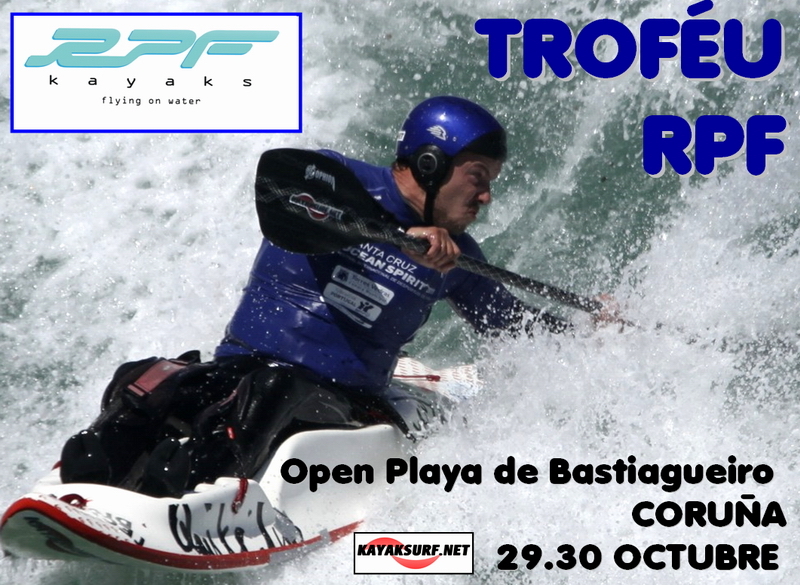 Rui Fonseca, shaper and owner of the RPF, also participated and came to the podium;) Below you can check the results of one more RPF Trophy edition that was held at the Open Bastiagueiro, Galicia, Spain. A little secret... soon we'll have some news about the RPF Shark... keep an eye on the news! 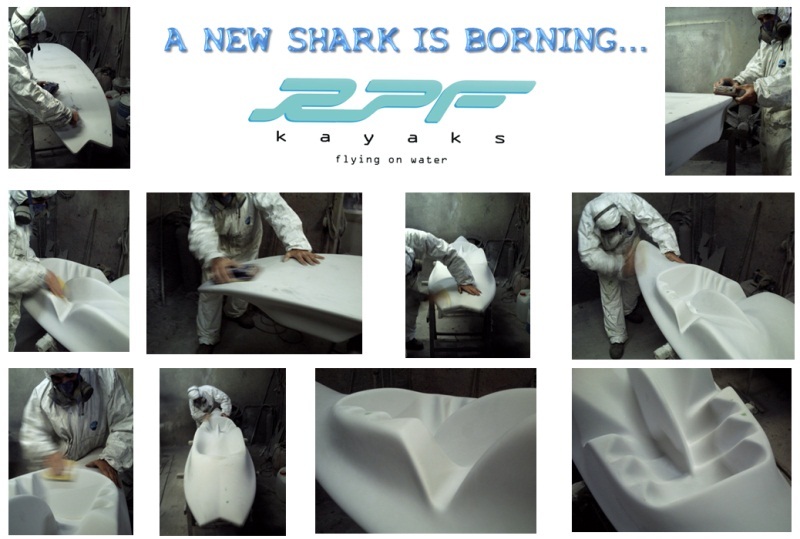 NEW SHARK 2012 VERSION ALMOST DONE!! 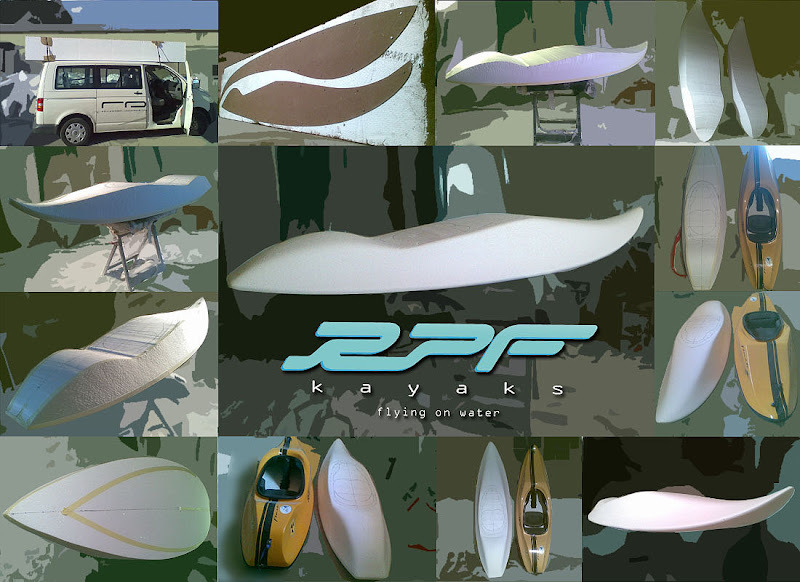 RPF Kayaks is at this moment with two new projects in hands: a new sit-in and a the restyling of the Shark model. 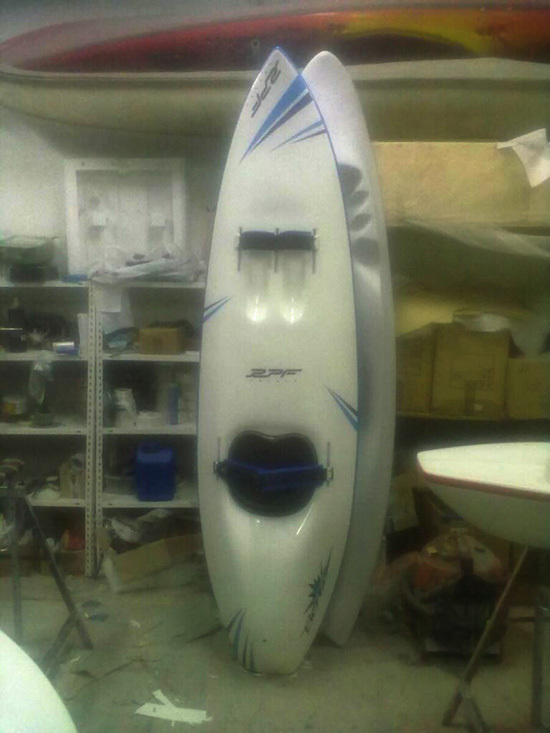 This sit-on-top is one of the most emblematic surfkayaks of the portuguese brand and now, we are changing some details in it. Essentially, is all about the rail, tail and also the bottom. 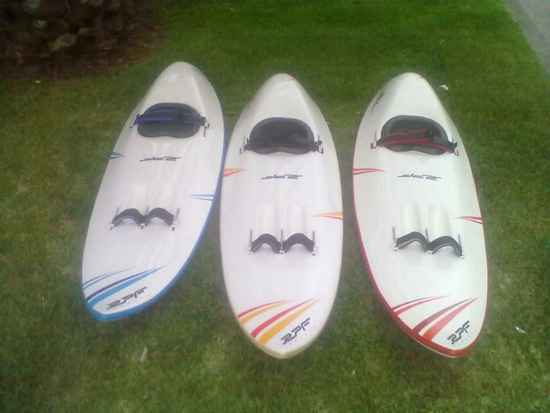 The surfkayak will be with the same measures but more easy to surf, and a lot faster than the actual model. Keep an eye on the news!! BLAST WAVESKI NEW DECOR IN GALICIA!! You just have to chose with one you like the most...red, blue, yellow or any other color!?! ?